Adorable baby boys 1st christmas outfit! 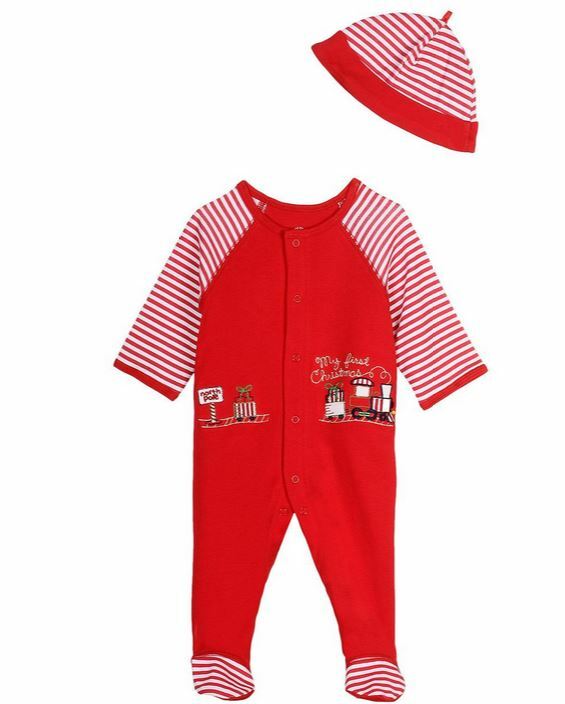 First Christmas snap front cotton footie comes with matching hat and features embroidered train and My First Christmas embroidery. An adorable outfit for his first Christmas pictures!